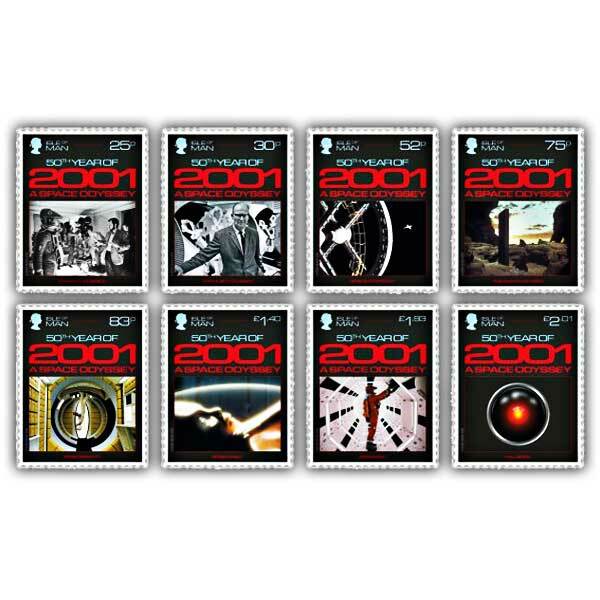 Created by London innovative firm Glazier Design, this set of 8 stamps marks 50 years since the release of this futuristic sci-fi favourite. The series of stamps illustrate a few of the most renowned images from the movie, each layered with hidden secrets, embedded in tiny text. The set is readily available in Mint and Cancelled to Order (CTO) and each worth highlights essential points from the production of the movie.